The lazy susan is quite large which is exactly what I wanted so my kitchen table looks better organized. Keeps everything in one area. Sturdy, good looking, useful and mobile. This lazy susan is useful on countertops to house a myriad of items for use there or on a table top. It is as attractive as it us useful. Holds kitchen items together on the counter. This is very impressive. Reminds me of the smaller ones that were popular when I was young girl. I like it very much. I have no idea how I will use this yet. Just wanted it. A gift for my birthday. WAS JUST WHAT I WAS LOOKING FOR GREAT!!! This was my second Large Wood Lazy Susan I've purchased. I use them as organizers on my kitchen counter. They are attractive and a delight to use. Would recommend this item to anyone. A beautiful addition to my table. Plenty of room for napkins and condiments. Constructed very well as I owned my own wood working business. Have this on our kitchen table. Holds everything we have there. Napkins salt and pepper shakers, brkfst glasses and cups. Makes everything compact and convinent. Looks great on my table. On my kitchen table and it is perfect. Great way to reduce clutter. It is a Christmas present, my daughter has a big round oak table in the parsonage where they live, she will love it. 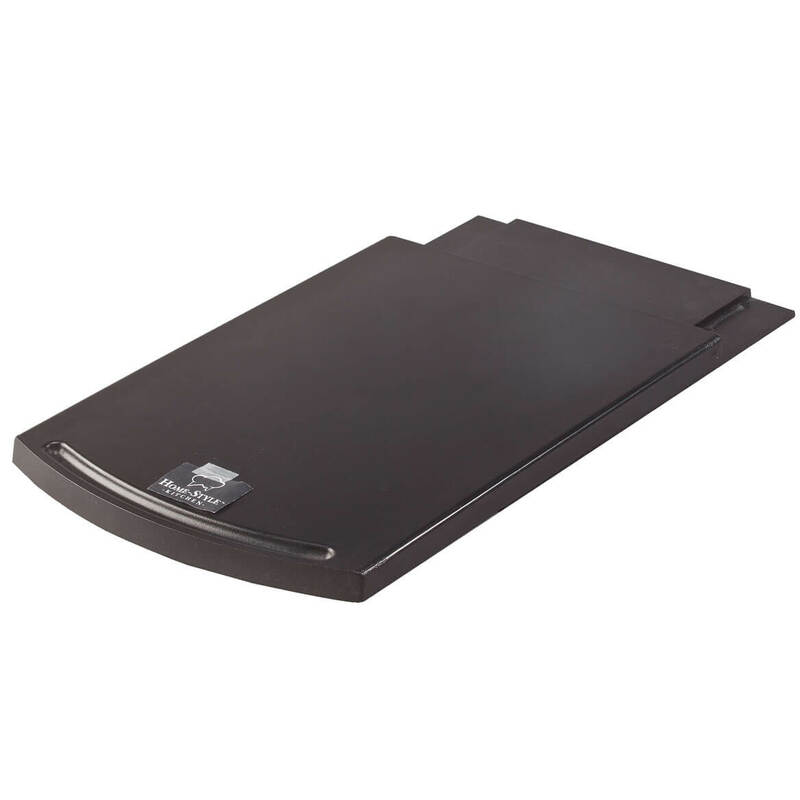 Large size, well made, easy to move from table to counters, one trip. I have this on the dining table and it makes it much easier to reach condiments, spices as you turn it around. I purchased them to be used at our senior center. They look great and are being admired by all. I have it in center of our kitchen table so I can keythings we use in a neat spot. Put it my dining room table. Have always wanted to get one of these. Luv It!! This lazy susan is being used on a round table at a Independent Retirement Living facility. Its' hard to reach for condiments in the middle of the table for the geriatric crowd. This makes it so easy for them! They just spin it around to each other and the item is right in front of you! and it so attractive too! Have had many compliments. 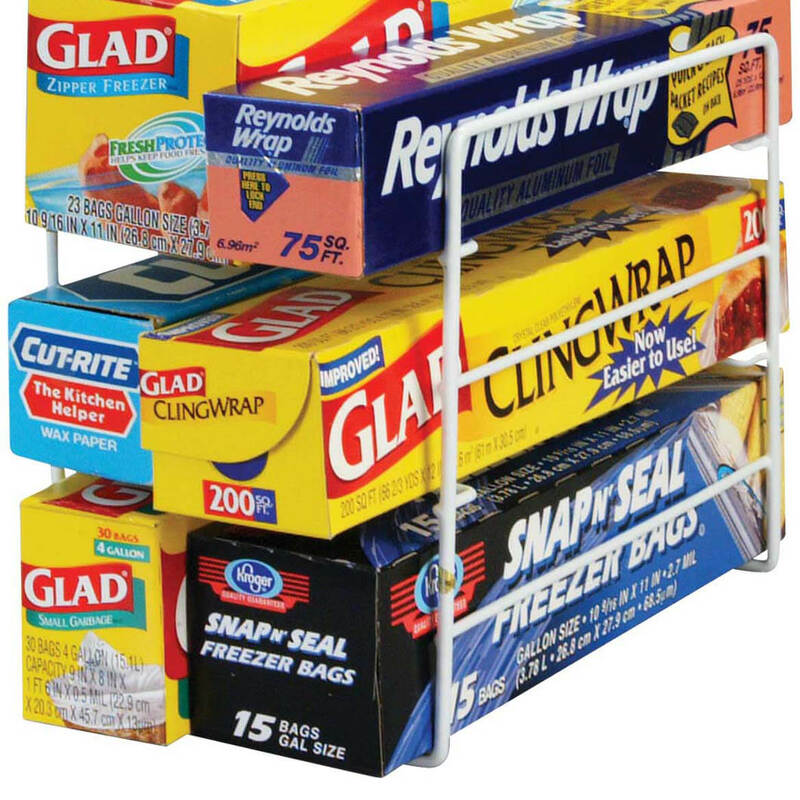 Works very well to contain condiments and yet easy for everyone to access. I thought it would be neat idea to use for Thanksgiving meal. What a perfect addition to the kitchen table ! Well, it was such a pleasant surprise when I opened the carton it came in, it was such a delight when I placed it in the middle of my kitchen table! Everything that was scattered on the table before is now neatly placed on the Suzan ! I called Miles to order 3 more, one for each of my 3 sons, and I was so disappointed to find out that it was "sold out" ( no surprise ), and it would be mid-June when their 3 Suzans will be shipped ! Need I say more ? 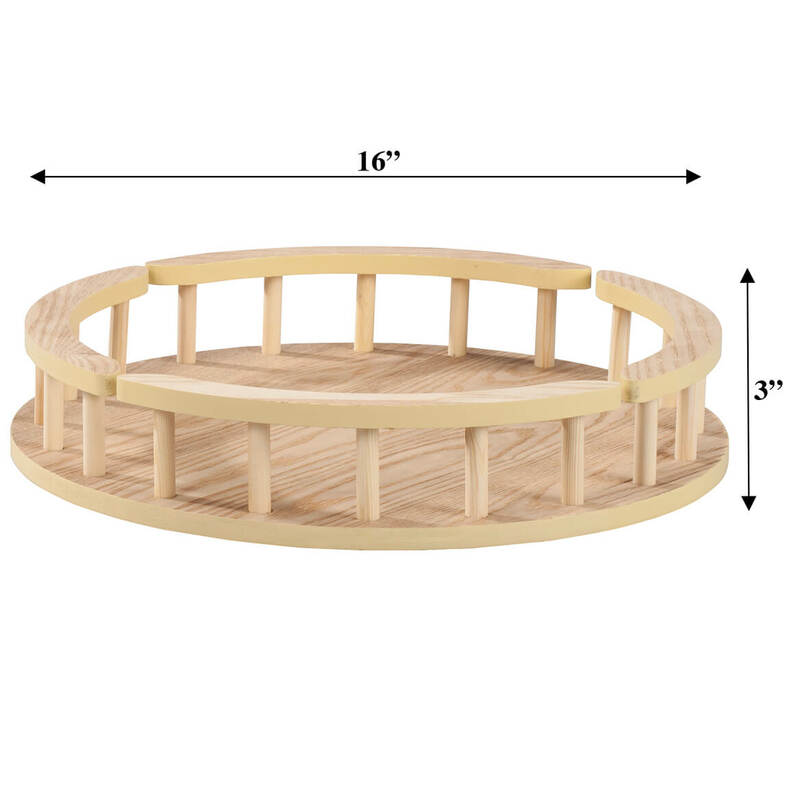 I ordered the large wood Lazy Susan as a gift for my daughter for her new home. It arrived promptly and my daughter loves it. It keeps the tings on my table together. It's nice to have all the condiments, spices, napkins all together on the table with one turn! My lazy susan arrived fast,I was excited to open my item. I have friends and family for meals and all my condiments fit on it. What's really nice is when you want an item on the lazy susan you just swivel it to what you want. I love it and will buy 1 for a gift. My neighbor was looking for one, I found it in the book so we both ordered it. And we both use them on our kitchen table. I use lots ofcondiments, spices, etc., and need them in a convenient, roomy turntable that sets on the table or countertop with easy access. I HAVE A SMALL KITCHEN AND THIS WORKS GREAT! I'M ALSO GOING TO SPRAY PAINT IT TO MATCH MY KITCHEN COLORS. IT'S SO HANDY!! I had a Lazy Susan but it was inconvenient, not large enough and not as attractive as I'd have liked. When I saw this one advertised, I ordered it immediately and am VERY satisfied with it! My old Lazy Susan was a double-decker - (which I found very annoying as it obscured the view of those seated across the table) - This is a single-level yet is large enough to accommodate all needed items. I wanted this to hold napkins salt and pepper etc for meals and it is perfect!! Could also be used in a pantry for spices, etc!! Love my Lazy Susan. It's very spacious, and helps me keep the kitchen table organized. The rotating Susan was so successful for us that I even bought another! The Best Lazy Susan ever!!! Perfect size and the rail helps support of taller items. We use it to hold our tall pepper mill, salt grinder, napkin holder, morning meds, sugar bowl. A real value for the money. WE have also used it for condiments at a recent Family party. I will or be queder a second to use when we bar b que. Bought this for my table to keep supplies handy. Can be moved easily when necessary with items on it. SO EVERYTHING IS ORGANIZED NOW AND WE ARE ALL HAPPY, IS A GREAT PRODUCT AND I DO NOT HESITATE TORECOMEND TO ANY ONE. LEON CORDOBA. It is on my small bar table. It is a lot nicer than I thought it would be for the money. I have my Lazy Susan on the side counter and put the kids snacks in it. They love choosing one as much as eating it! On my dining room table, convenient storage for everything. Sits right in the middle of the kitchen table...hubby prefers everything handy. We love it. I use this lazy susan as a "centerpiece" for my kitchen table. It is large enough to hold all of your meal necessities - salt & pepper, napkins, toothpicks, sugar, artificial sweetener and even a bud vase. The woodgrain finish goes well in my kitchen. The rail keeps items from falling off when you spin the unit. You can also pick it up and move it to your kitchen counter without spilling everything off of it. Very handy addition to my kitchen. I don't know WHY I haven't purchased one of these before now. It is perfect on our table to put all the salt, pepper, condiments, sauces, etc. - so much nicer than reaching for everything. LOVE IT! Lazy Susan not so lazy! I love this product! I placed mine in a corner cabinet and organized all my cooking spices on it. Now, I can just give it a spin and my spices are easy to get at. Perfect large size. No more scattered items on my table. Love it!!! This was a gift. To myself. Reminds me of the lazy Susan's that was popular when I was a little girl. My husband used the kitchen table for all his mess. Now my table is neat and he is still happy because he has his little own nitch. This product is on my table all the time. It is so quick to retrieve any thing I place on it. All you do is turn it and what ever is in it you have easy access to. Didn't need to put it together - it came right out of the box already assembled. I love it and it also matches the decor of my kitchen. recieved my lazy susan luv it! fast delivery excellent! Actually got it for an avid cook as a gift. She'll love it. "Just what I've wanted for so long"
It is rather large. However, a lazy Susan should not be too small. I plan on purchasing more for my cupboards as I use this one on the kitchen table. When I could not find one anywhere else Miles Kimball had just what I wanted. I also purchased another organizer for my cabinets. Next time I will look into this catalog before going anywhere else. I use it for holding spices, seasonings etc. We have a large kitchen island. 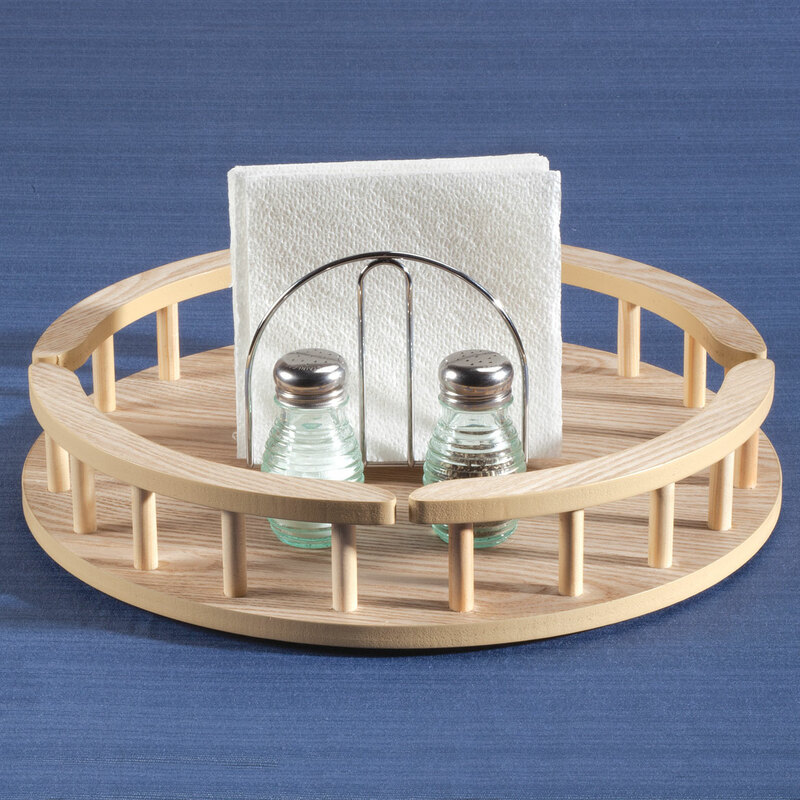 The large size of this lazy Susan makes reaching for spices and condiments a breeze. I use this Lazy Susan to hold my jars of oil painting brushes and they are there in a very convenient spin when I need them for my art work. The size is great and the rails keep everything where it should be. Lots of room for sugar, S&P, butter dish and even napkin holder. I was so glad to get this item. I was tired of moving every item off the table to change the tablecover. Now I just grab this and it's all together. It's also handy having everything at your fingertips ( napkins, salt & pepper shakers, even medicine bottles.) And everybody can reach what they want because it spins around. If you have a big enough table, I recommend this item to all who want things together. Would like to see them stained by a person's choice! 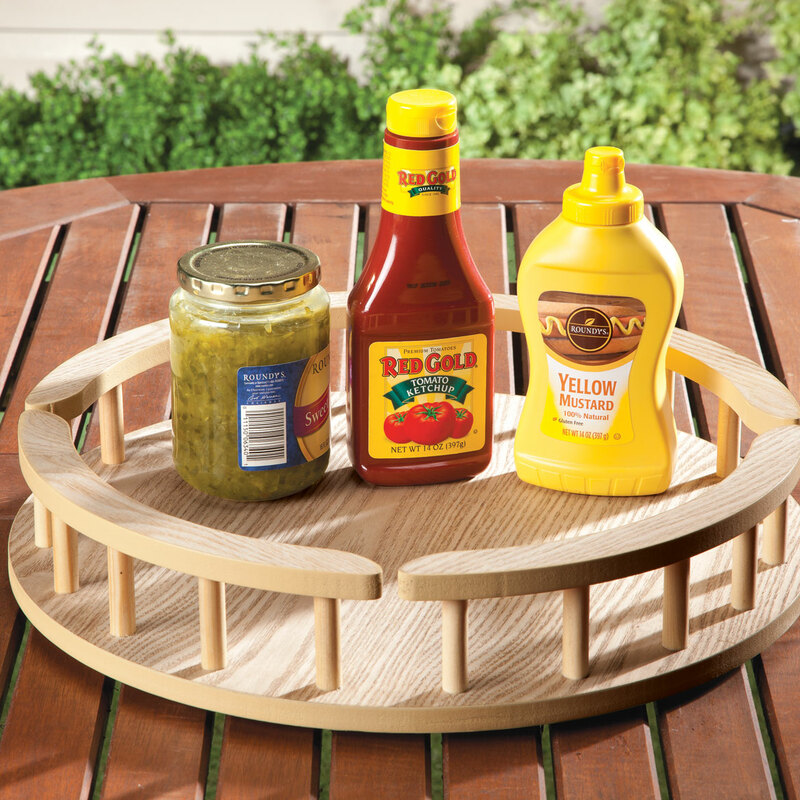 Lazy susan is very convenient to hold my condiments on the dining table. This piece it so handy for my kitchen table. Especially when having family over for dinner. It is large and can hold lots of stuff! I love this! It is great to hold the items you need on the table. THIS IS SO BEAUTIFUL & FUNCTIONAL! I use a small crystal vase on it with a pair of scissors, a letter opener, & pens, and another small crystal vase which holds a few extra teaspoons. I can also fit on it a crystal napkin holder, salt & pepper shakers, a sugar bowl, & a few favorite spices and/or spices. It's spacious & items don't fall off when you spin it. it helps keep everything i use on a daily use available!! My friends really liked them. They will be used on a regular basis at get togethers and parties. Great fir putting napkins, salt, pepper, condiments, toothpicks, etc. I purchased this lazy susan because of its size and because of it having the side railing surrounding the lazy susan. We keep the lazy susan right on our kitchen table to hold napkins, salt and pepper, as well as several spices we use regularly at the table. The only drawback is that this wooden lazy susan does not have a durable finish on it which would protect the wood from spills and food stains, so I ended up applying multiple layers of a spray gloss polyurethane to protect the wood material. I am very happy with the overall design of this lazy susan, but I feel the product could be improved by it having a durable finish. Really helps organize my kitchen table and the price was great as well. Nice size for a large table. Use to hold the napkin holder and salt/pepper shakers. Good color (natural look). SMALLER THAN I THOUGHT BUT LOVE IT. 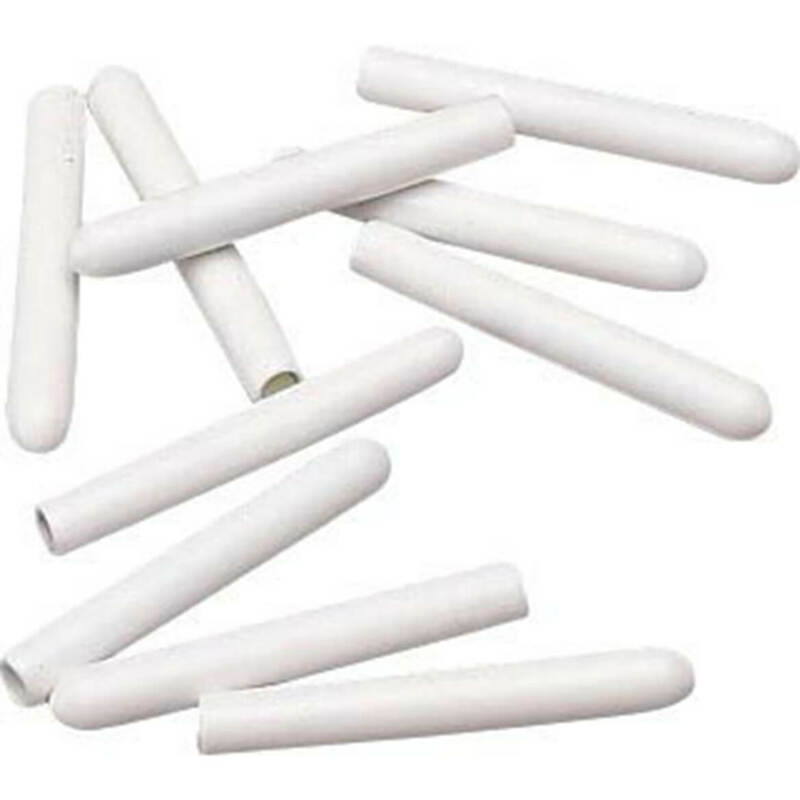 IT IS HARD TO GET THE ROUNDS CLEAN. BUT I LOVE IT. Keeps everything on my table from migrating. Love the convience,it oganizes the table. Everything, from your spices,condiments,coasters are at your finger tips. It also has an easy spin, and an attractive design The only down side, would've liked a choice in the wood veneer. Would gladly recommend this produce, value in the price. This wonderful lazy Susan holds all the items I need on my kitchen counter. It fits perfectly in the corner and looks pretty. I put my Keurig 2.0 on it so I can just turn it to fill the resevoir. [...]Perfect size,nice design. But disapointed with constuction. wood looks un sanded and no finish.Going to paint.Two of the rails and spindels fell off when took out of box. Needs a slightly thicker base. Will be great after quick fixes. Purchased product for use on kitchen table for napkins, condiments. The size is what I wanted and expected. The turntable is stiff; hope it will turn more smoothly over time. The wood finish is not complete. There is a section that was sanded, but then not finished properly. It is not a large section, so decided to keep product. I have a busy kitchen, so this oversized lazy susan has solved, & made the corner counter space more efficient, attractive. Fitted it with pretty shelve paper for easy cleaning. Looks so pretty..! After we re-glued the spindles, it works just great. This is not made of wood as described. It is plastic with a wood look. However, it works very well. The turning mechanism is quiet and smooth, and I like the rails that keep items from falling off. It's handy for our vitamins, napkin holder, and salt/pepper. Plus, it's large, which means no random items on the table, which makes the table easier to clean because I only have to move one thing. I would recommend it. I also hope WD will change the description so it won't be misleading. Item doesn't look like the one shown in the photos. It's much darker and i'm not even sure it's actually wood. The only thing i'm happy with is the size. I was disappointed in the quality of craftsmanship and materials. The item is not very sturdy and looks cheap. It will keep all the items close at hand and available to all that sit at our dining room table! I will use it for my spices, on the kitchen countertop. I chose this product to store my father's prescriptions. For my Daughter for Christmas. We downsized tables to a pub-sized table and had to condense our napkin holder and shakers to the counter and this is an attractive solution to a chaotic scene. I already have a lazy susan, but it doesn't have the "edge" around it and sometimes things fall off. I wanted this to avoid that issue. To place my paints in so I can use it on my kitchen table. This is the perfect size to fit in our cabinet. Always wanted one of these for my dining room table. I need a lazy Susan for all the stuff currently on my table. Nice for my kitchen table. I love the design of the lazy Susan with the rails and all. To keep things together on my island in the kitchen. I like the size and the fact it is made of wood. When at the table for our family meal, there will be no more "Can you pass the sugar, salt, pepper, ketchup, etc., please"? It will now be like 'self service' ; everything within an arms reach. 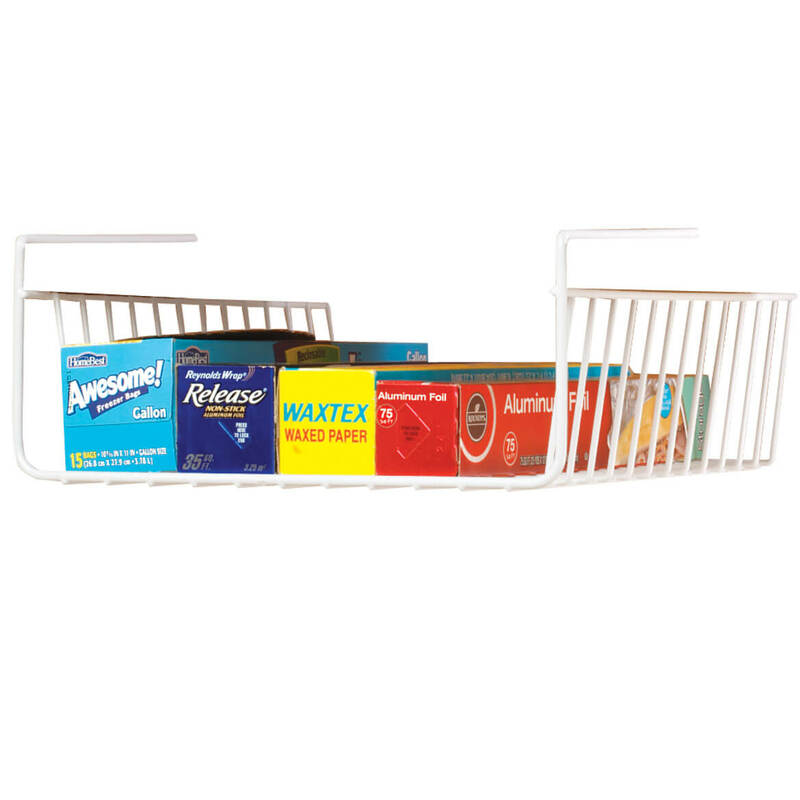 choose this item because, it will organize the items I like to be available on the table, during meal time. BEST ANSWER: Thank you for your question. The Lazy Susan is made from wood. We hope this information will be of help to you. This product is made of wood ... It's a nice large size and has worked great to help de-clutter the dining room table ?? 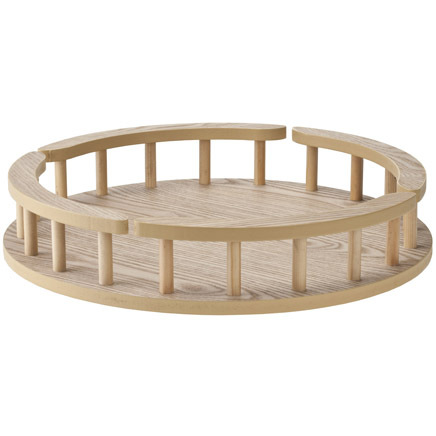 This lazy Susan is made from wood. Not well finished but works where I am using it. It's wood. It's very pretty. I added a coat of sealer to it to protect the wood. It's wood and a very adequate size. I like it alot. It is wood and very nice on my kitchen table. It is wood. We are very satisfied with it. It is wood or pressed wood. BEST ANSWER: as far as I can tell it is most certainly wood. I like it very much. It is very light in color and I thought at first I would stain it a honey oak color..but it has grown on me and I am happy with it. Thank you for your question. This is made of wood. We hope this information will be of help to you. It looks like woof, probably like balsam/ particle board type but its functional and larger than others I' ve seen. It is wood, and a very good lazy susan for the price. Yes, it is unfinished wood. What kind of finish is on this lazy susan? BEST ANSWER: it has a clear coat finish and I use mine to keep condiments in the fridge,they are easy to just give the turntable a spin to find what you want. There doesn't appear to be any finish on the flat surfaces. The round edges appear smooth with a matching blood paint finish. 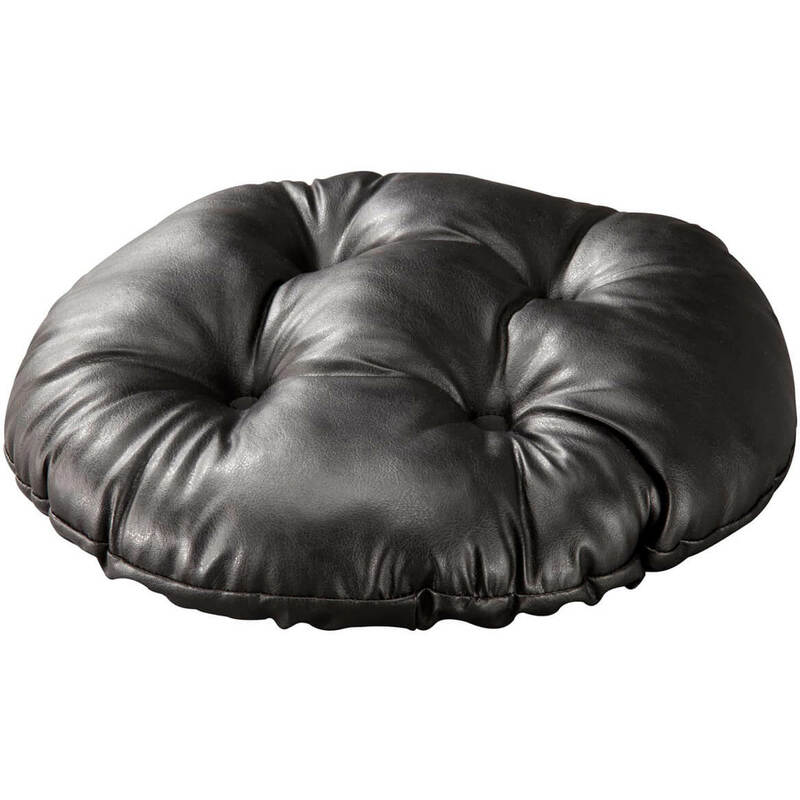 It has a clear varnish finish on it and it is a wonderful product. What kind of wood ? BEST ANSWER: Hi, first of all, I was Pleasantly surprised with this item! It's MUCH stronger built than I expected. I was also worried that the napkin holder was going to be a part of it, it wasn't. As for the type of wood, I would have to say that my best guess is Oak. I'm not a 100% sure, but it's very strong, very stable, and looks Wonderful! Sorry- I have no idea what kind of wood. Another shopper believes its plastic w/ a wood look coating. I tend to disagree. Anyway, it's a well made piece. I would recommend it. Ours holds all of those lovely supplement bottles and a few rx bottles. It has many uses depending upon your needs.